A little more than a year ago, I was studying abroad in Spain for 3 ½ months and spending my weekends traveling around Europe. One of my destinations was Rome, an ancient and history-filled city—which also happens to house a small crypt in the church Santa Maria della Concezione dei Cappuccini. 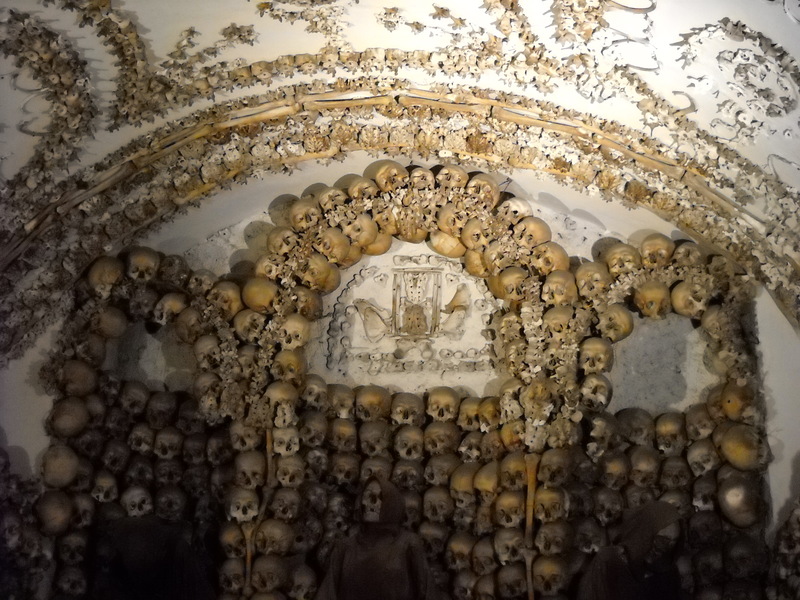 This crypt is one of the coolest places for a lover of horror to visit because it is entirely decorated with human bones. 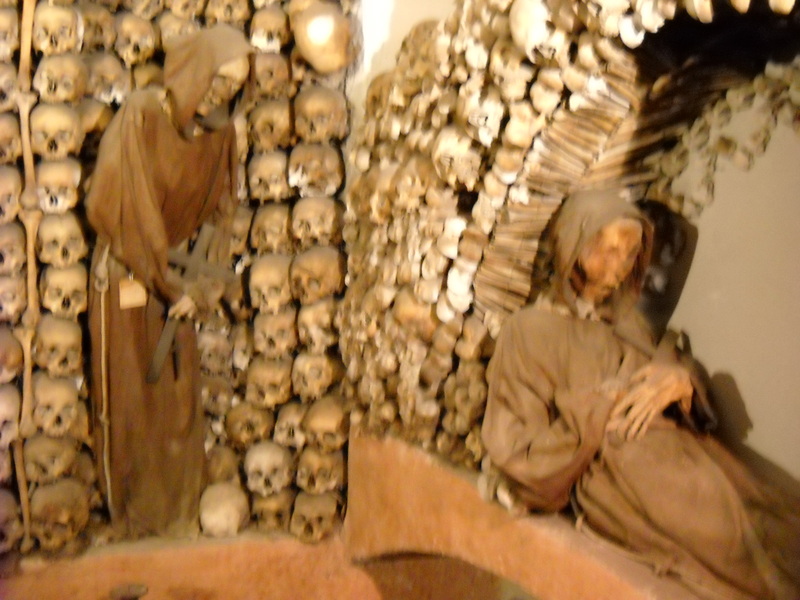 The church was commissioned in 1626, and soon after, the bones of Capuchin monks were exhumed from their burial place and arranged along the walls of the crypt. Today there are about 4,000 dead friars down there. There are even a few full skeletons standing upright in monk habits. 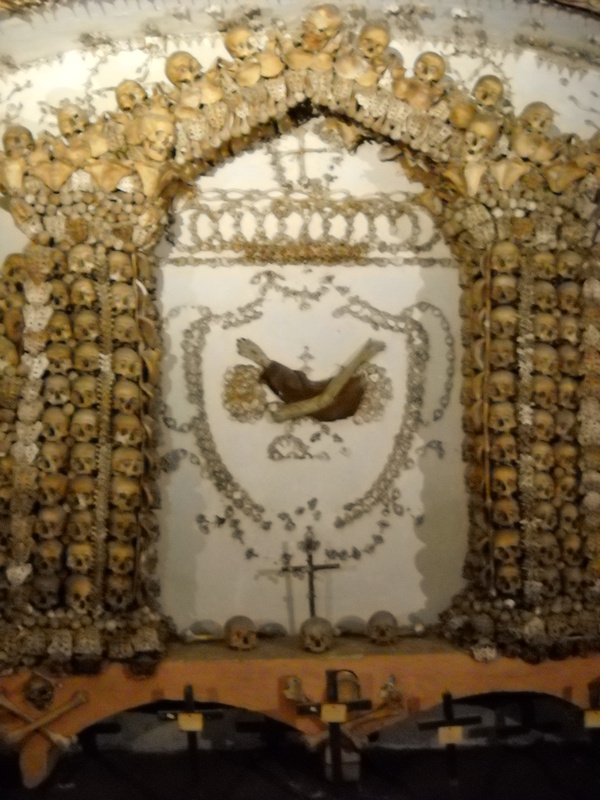 If you ever get the chance to visit something like this ossuary, do it. 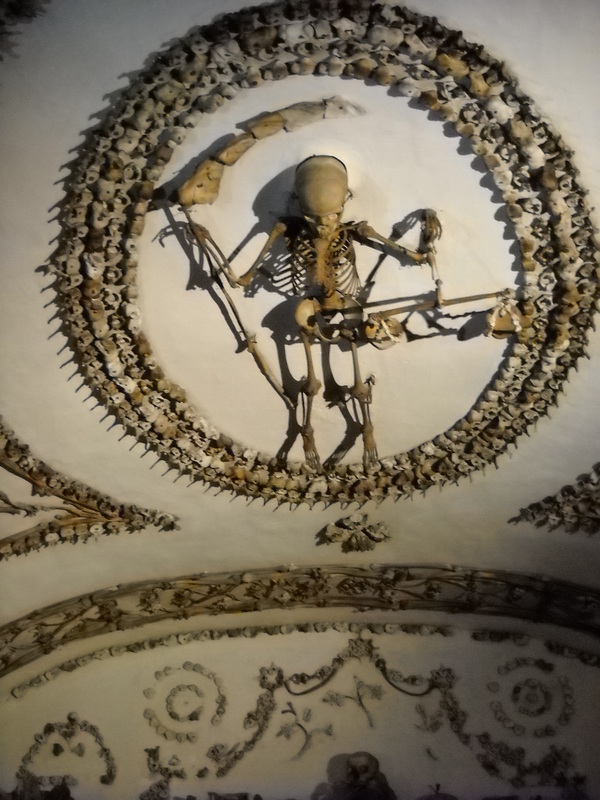 Similar places are the Catacombs of Paris and the Sedlec Ossuary in the Czech Republic. It’s not only a fascinating artistic display, but also a haunting reminder of our own mortality. This is now on my bucket list to see. A hauntingly, beautiful place. My husband and I stumbled upon this place while wandering the streets of Rome in 2013 and were so glad we decided to pay the entry fee and have a look. It was an amazing experience! Totally confronting, bizarre, and awe inspiring all at the same time.